We List All the Mardi Gras Texas Style 2019 Information. Saturday, February 23rd, 2019 at 2 PM – 11:59 PM @ Automotive Building at Fair Park 1010 First Ave, Dallas, Texas 75210. 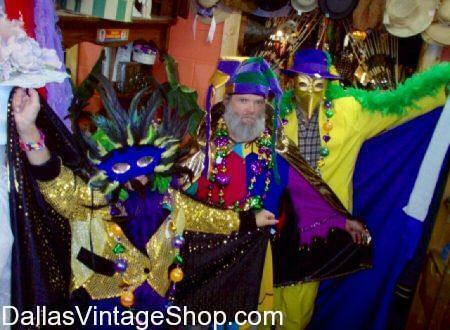 If you need Mardi Gras Gala Ball Masks & Proper Attire or wild and crazy Costume Ideas for Parades & Parties you will not find a larger or more diverse selection than we have…Anywhere!